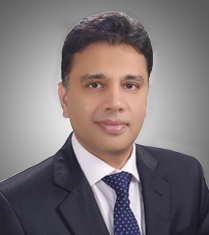 It is a matter of satisfaction that the Company has completed its corporate restructuring as approved by the shareholders and sanctioned by Honorable Sindh High Court involving amalgamation of IGI Investment Bank Limited into IGI Insurance Limited and a subsequent hive down of insurance business of IGI Insurance Limited into a wholly-owned subsidiary i.e. IGI General Insurance Limited and of certain investments of IGI Insurance Limited to another wholly-owned subsidiary i.e. IGI Investments (Private) Limited. As a result of this restructuring, IGI Insurance Limited has been renamed as IGI Holdings Limited. IGI Holdings Limited would henceforth be operating as a holding company and would drive value for its shareholders through dividend income from its subsidiaries namely; IGI Investments (Private) Limited, IGI General Insurance Limited, IGI Life Insurance Limited and IGI Finex Securities Limited. We feel that the new corporate structure shall be conducive to focused management of the subsidiaries leading to better operating performance.